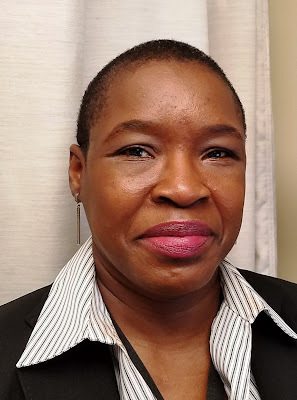 Dr. Nadia Duvilaire, co-founder and Chief of Service of Family Medicine at La Clinica del Barrio of Metropolitan Hospital of NYC Health and Hospitals, has joined the medical staff at Wood River Health Services. Dr. Duvilaire comes from New York City after seven years leading La Clinica, in East Harlem, where she supervised an eleven member staff of physicians, nurses, and clinical support personnel. She also served as Medical Director of the LGBT Health Center at Metropolitan Hospital since 2015. “Dr. Duvilaire is bringing a wealth of new experience and perspective to our work as a Community Health Center,” said Wood River Health Services President & CEO Alison Croke. By immediately sharing some of the caseload of the other providers at the health center, all providers, including Dr. Duvilaire, are now available to take new patients, Croke said. Dr. Duvilaire is Board certified in Family Medicine. She graduated from Union College of Schenectady, NY, with a BS in biology in 1990, earned her medical degree from Upstate Medical Center in Syracuse, NY in 1994, and completed her Family Medicine residency training at St. Vincent’s Catholic Medical Center in 2000. After residency, she provided primary care in underserved neighborhoods in Brooklyn and East Harlem, including as Medical Director of Mastronardi Family Health Center at Wyckoff Heights Medical Center before joining Metropolitan Hospital, one of the 11 hospitals of the NYC Health and Hospitals. She served as a community preceptor of Family Medicine with New York Medical College of Valhalla, NY, since 2002. She was a core faculty member of Family Medicine at Wyckoff Heights Medical Center’s Family Medicine residency program from 2008 to 2011. She has volunteered her medical services with many organizations, including NYRR (NY Road Runner) for its yearly marathon. She has been on medical missions in many countries in the Caribbean, South America and Africa. Wood River Health Services is the Federally Qualified Community Health Center for southwestern Rhode Island and southeastern Connecticut, providing medical and dental care and social services to 7,000 area residents. The center also administers the area WIC (Women, Infants and Children) Nutrition Program, provides a nationally recognized chronic disease management program, has available onsite lab testing in cooperation with Westerly Hospital, including blood work, x-ray and mammography, and provides behavioral and mental health counseling and referrals. Sliding scale payments are available to those who qualify. Wood River Health Services is located at 823 Main St., Hope Valley (on Route 3 south of the village, just off Route I-95 at Exit 2). For more information, call (401) 539-2461 or visit www.woodriverhealthservices.org.